Trillions of pieces of plastic are estimated to litter the world's oceans, but we don't really know the extent. 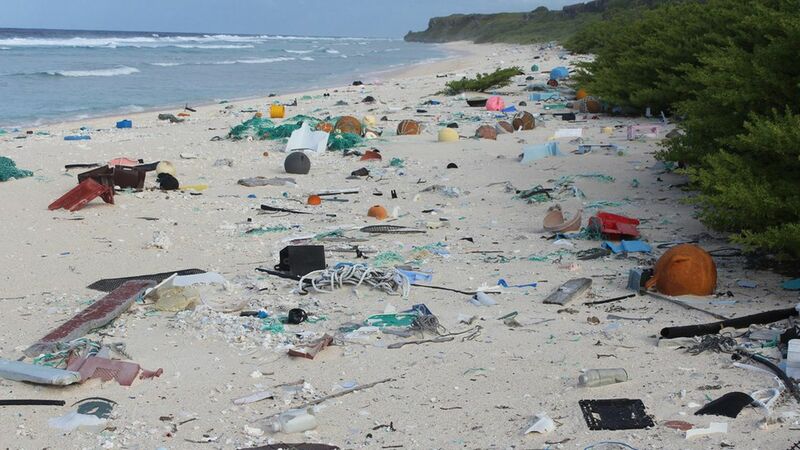 Two researchers travelled to Henderson Island, a remote, uninhabited island in the South Pacific, to try to get a handle on how much plastic refuse had washed ashore. They estimated nearly 38 million pieces of plastic debris are on the island. The details: Roughly 99.8% of the debris found on Henderson was plastic. Between 21 and 672 pieces of plastic debris were found per square meter on the beach, and 53 to 4,497 plastic items per square meter were buried in the sand. The researchers speculated that the nearly 38 million pieces of plastic debris had washed ashore from ocean currents carrying refuse thrown overboard from commercial fishing fleets. Amazing stat: The 17.6 tons of debris estimated to be present on Henderson Island account for only 1.98 seconds' worth of the annual global production of plastic, they wrote.